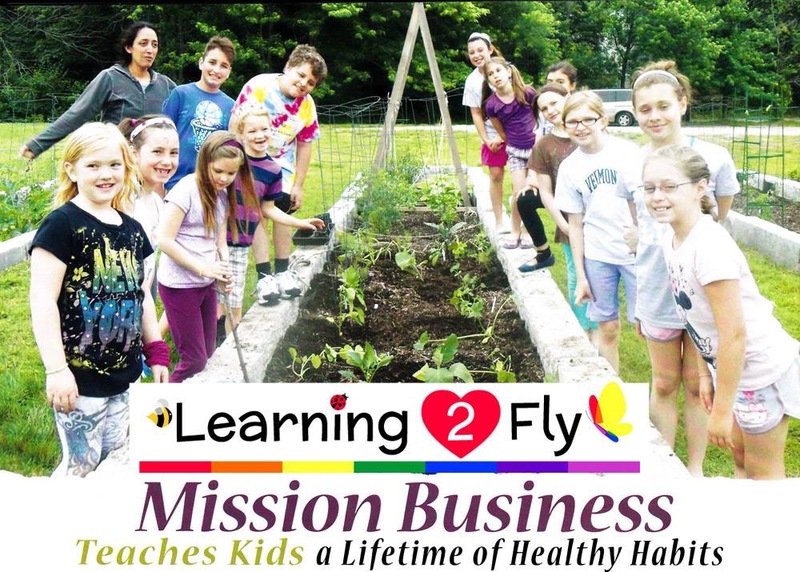 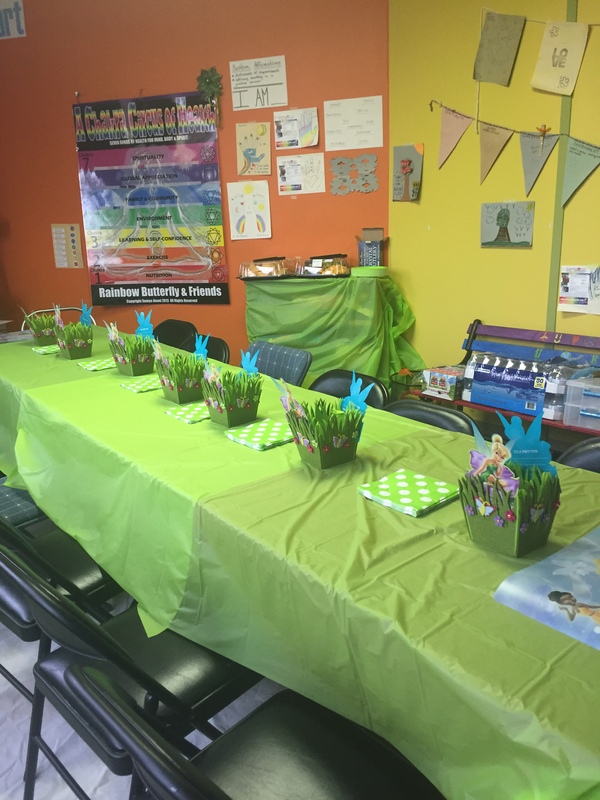 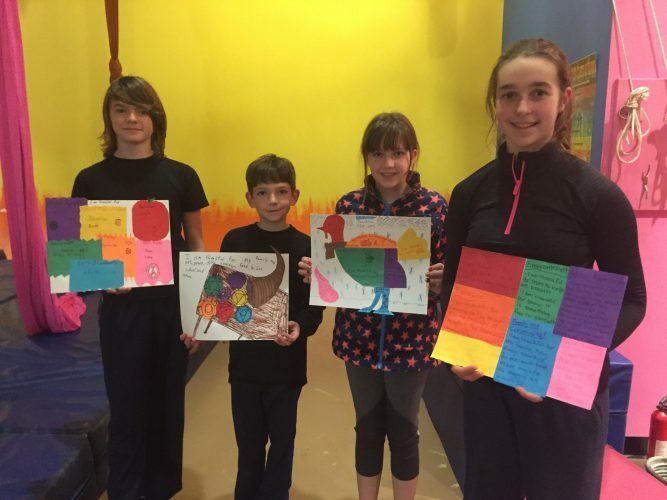 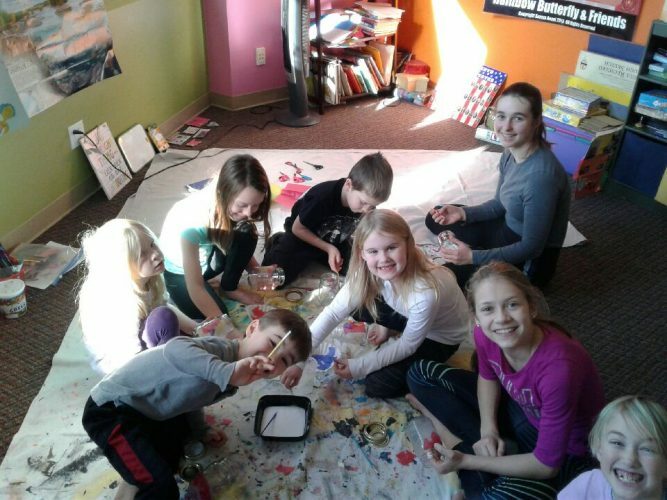 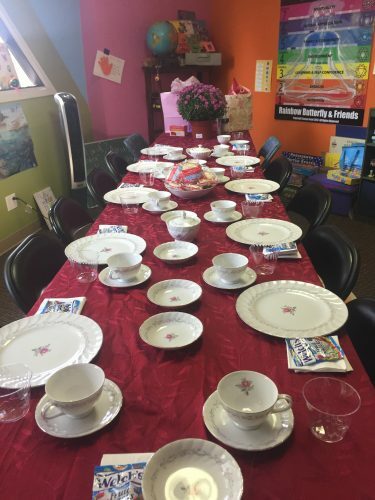 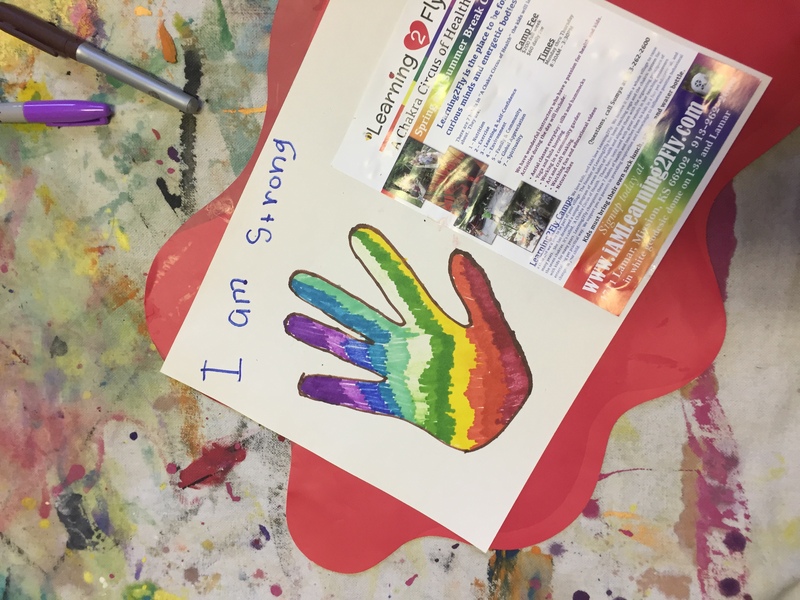 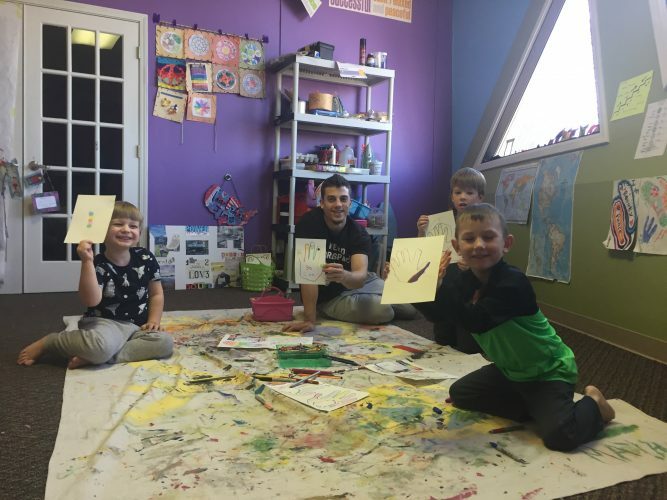 Click on a picture to read these Learning2Fly student testimonials. 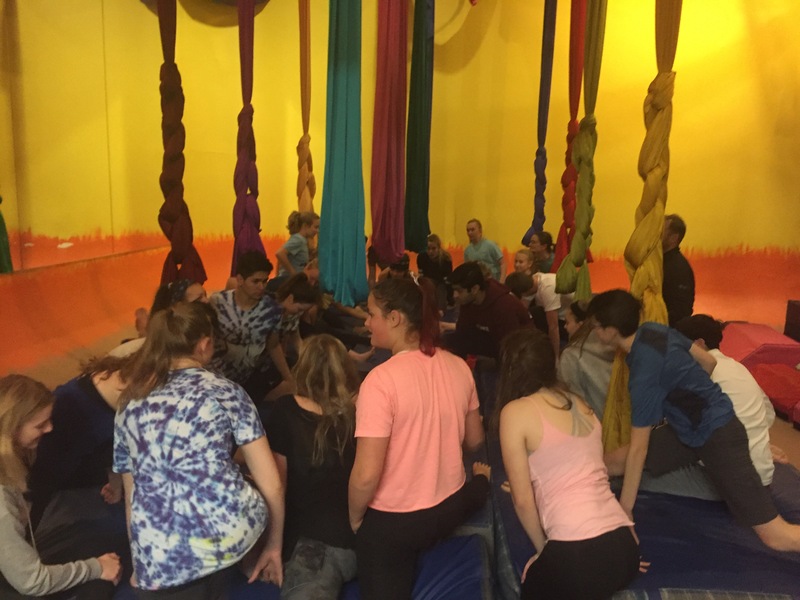 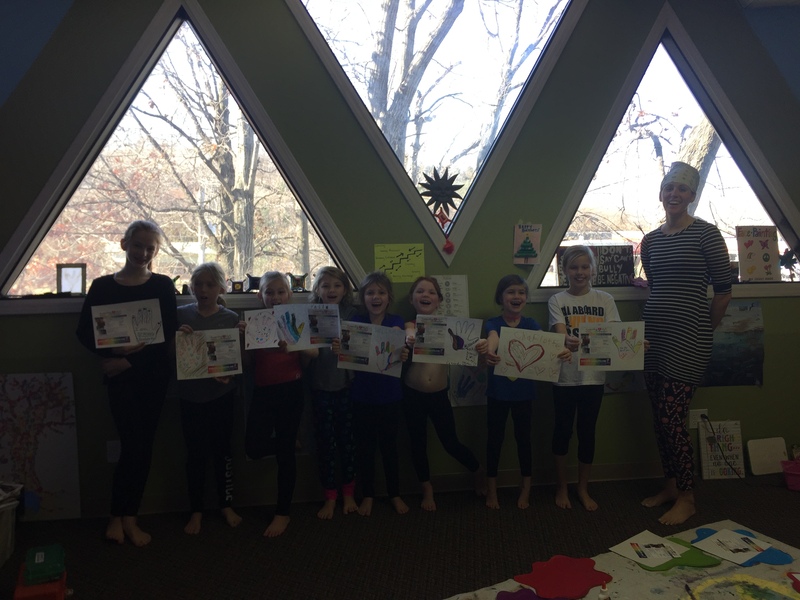 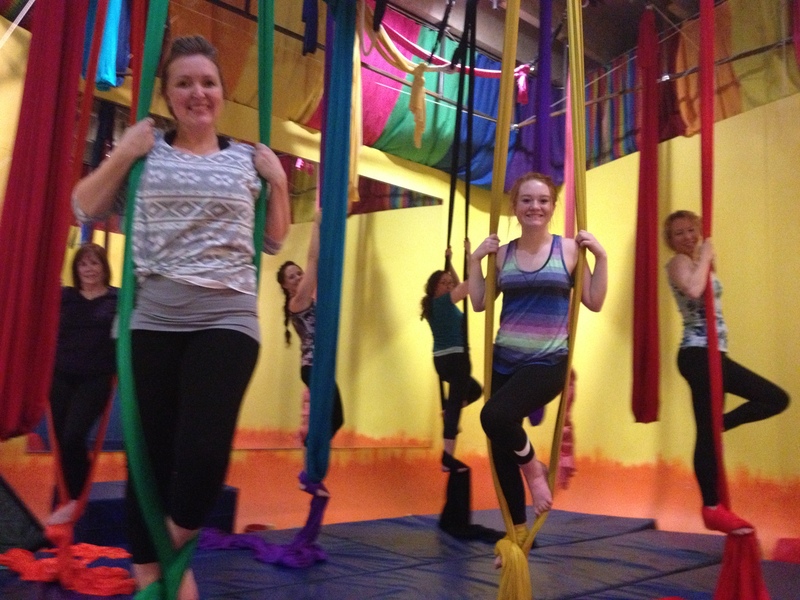 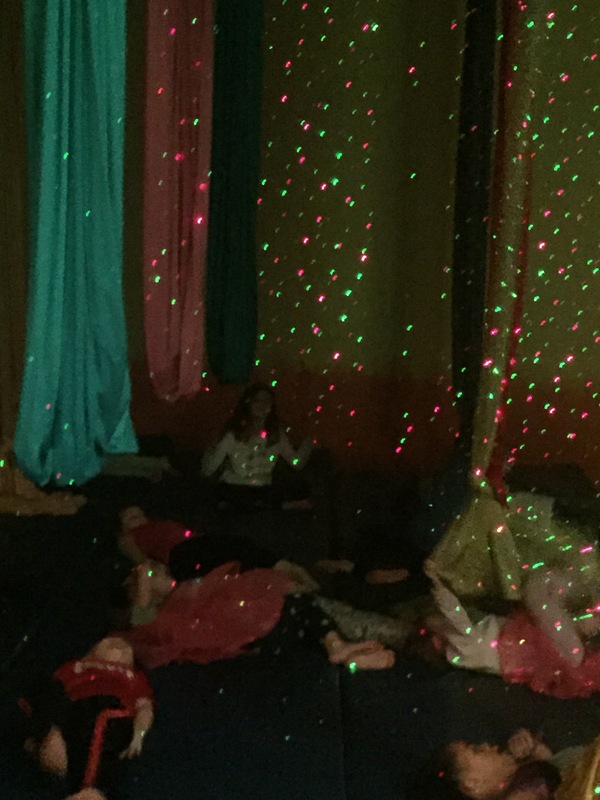 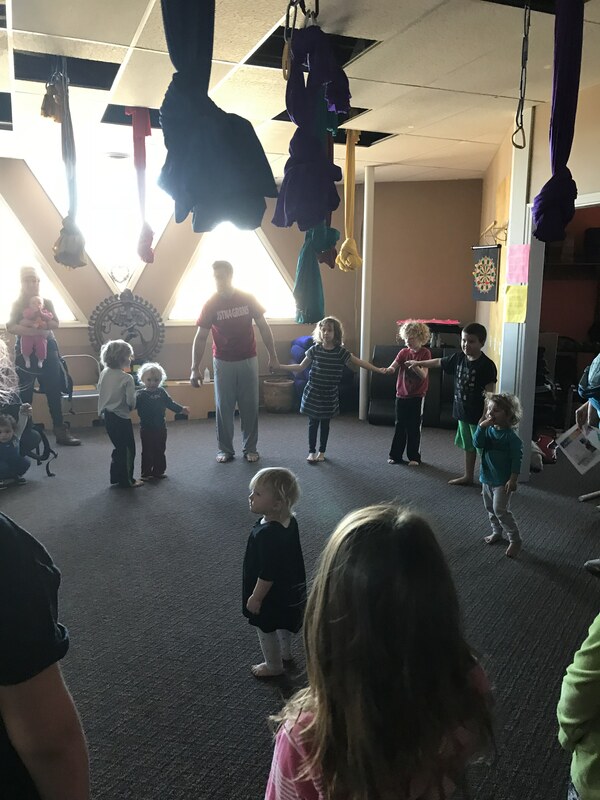 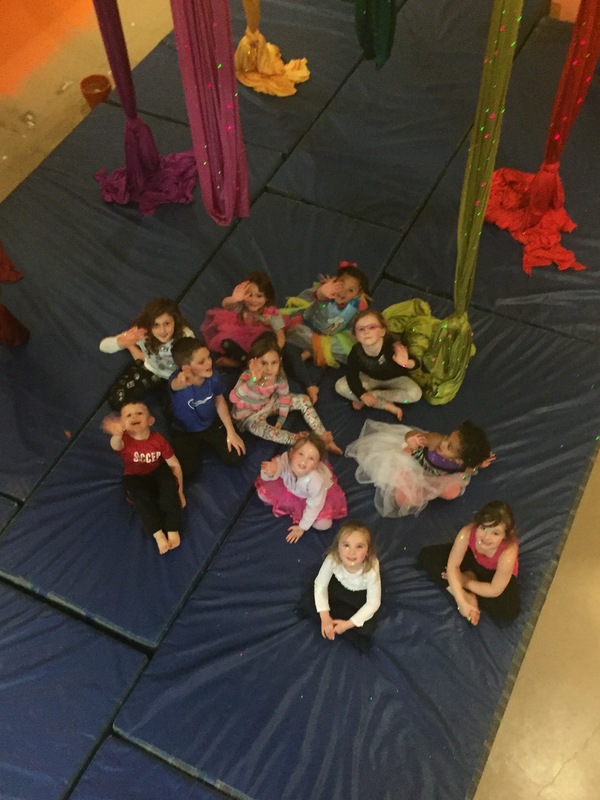 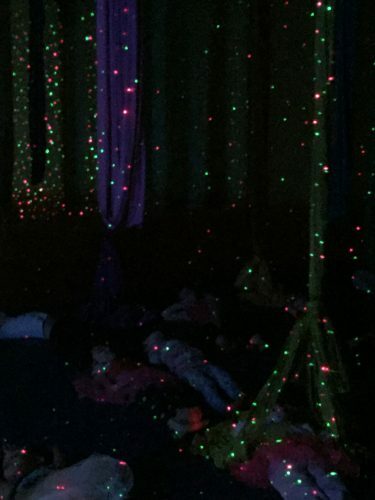 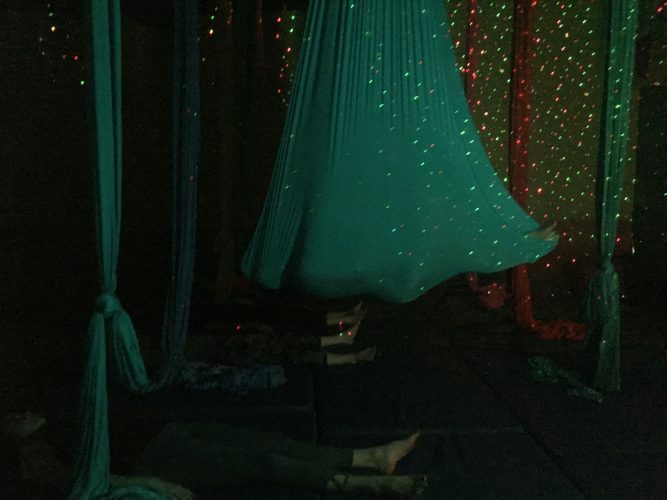 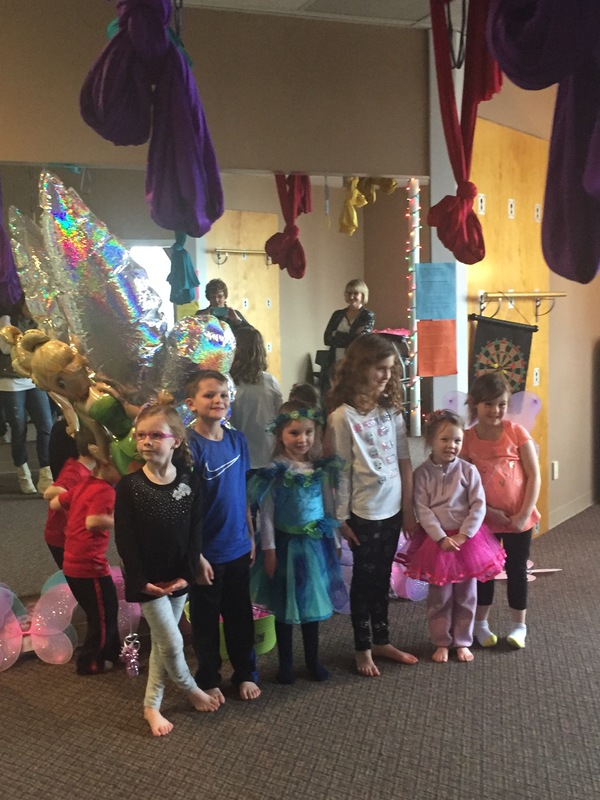 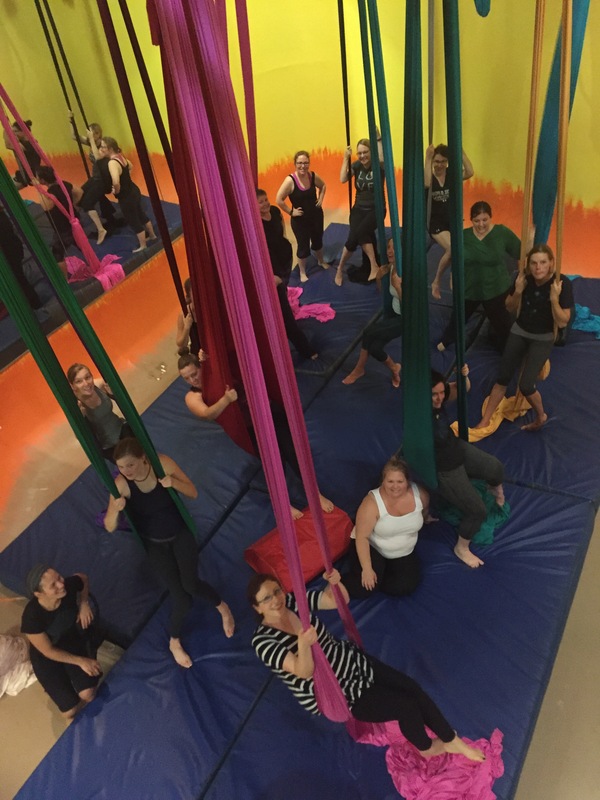 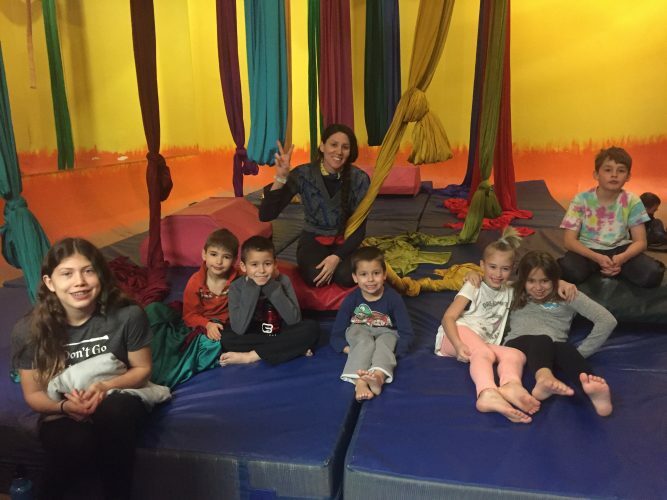 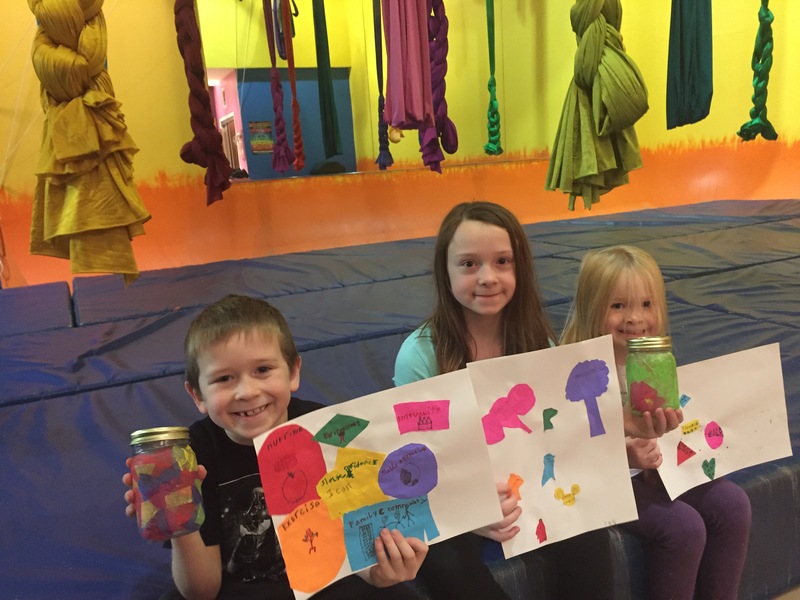 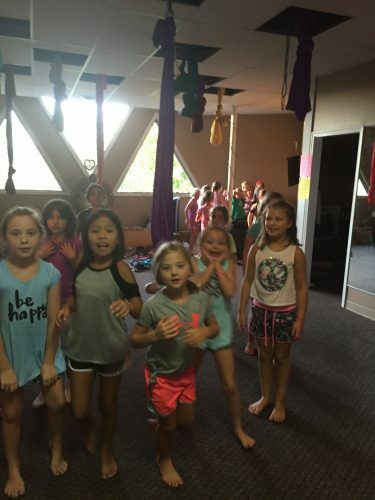 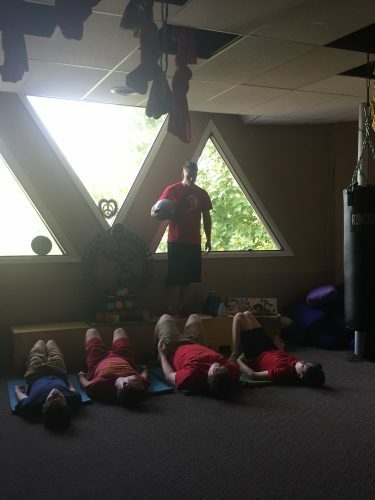 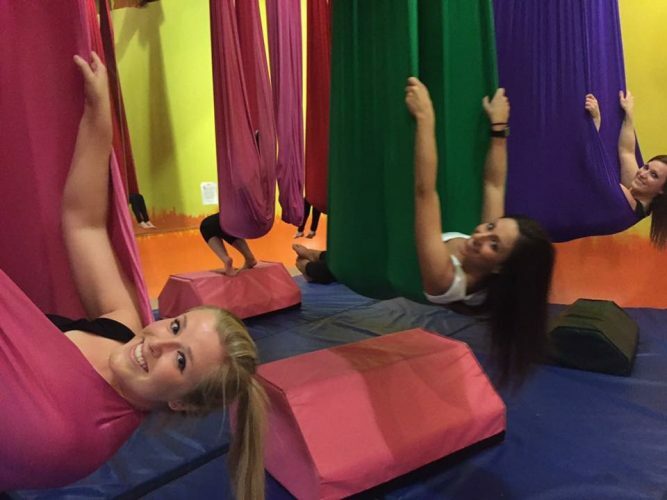 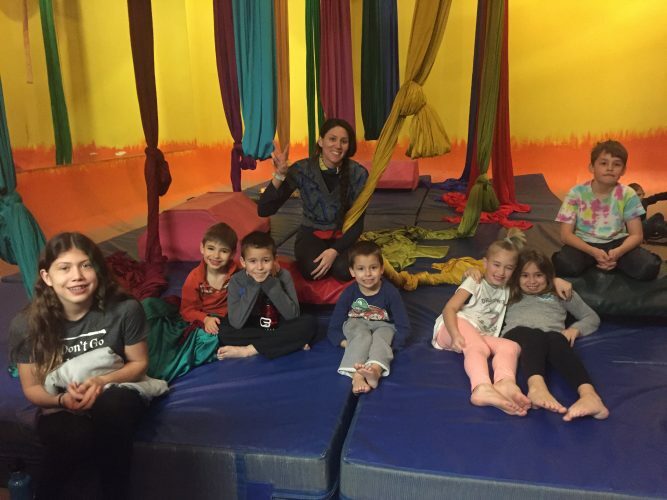 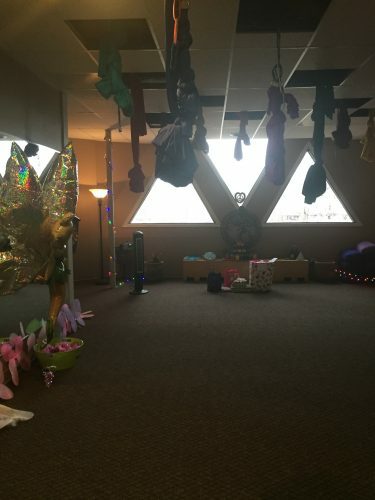 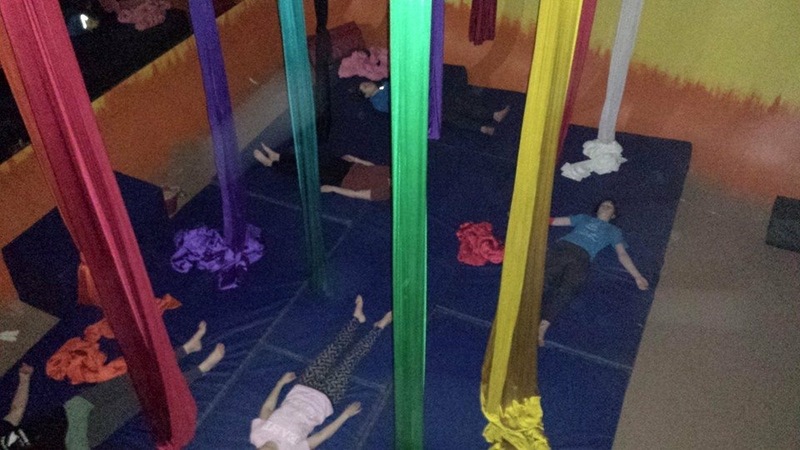 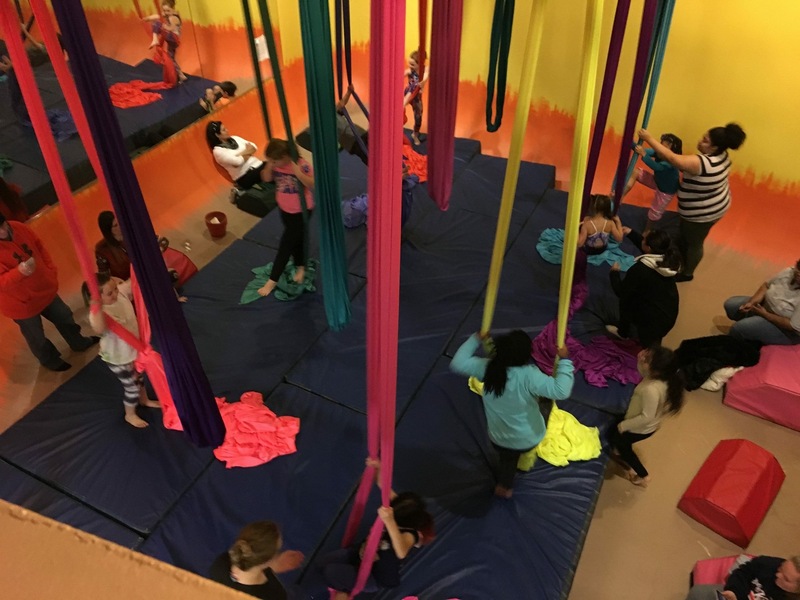 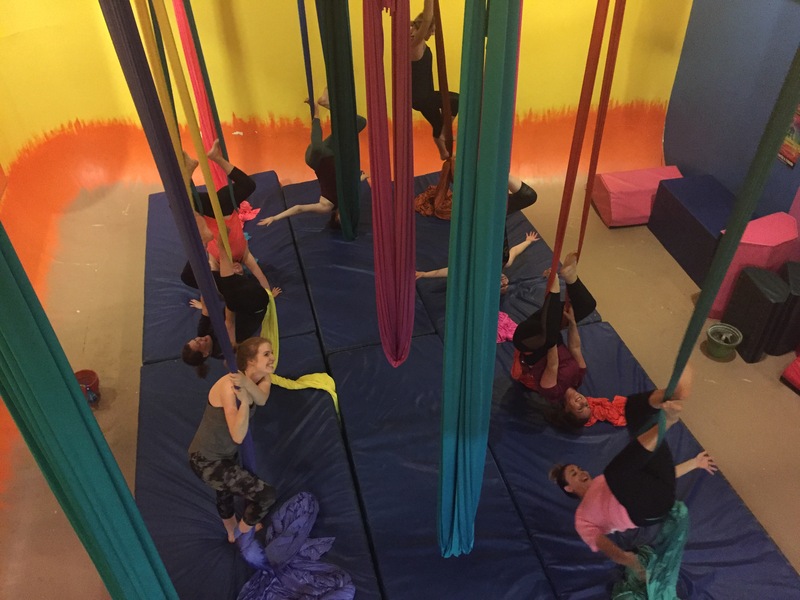 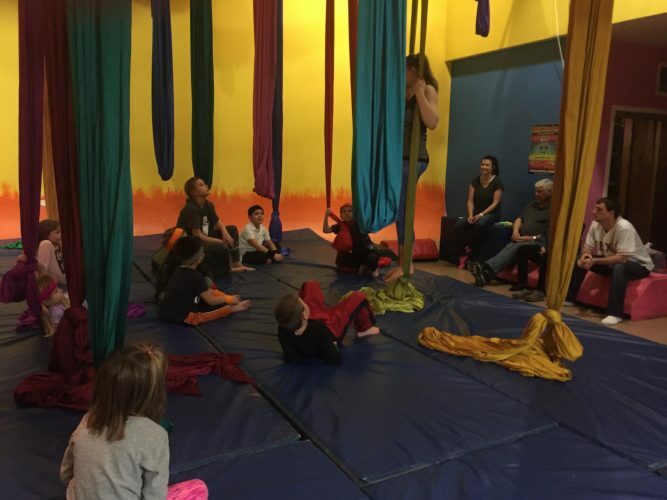 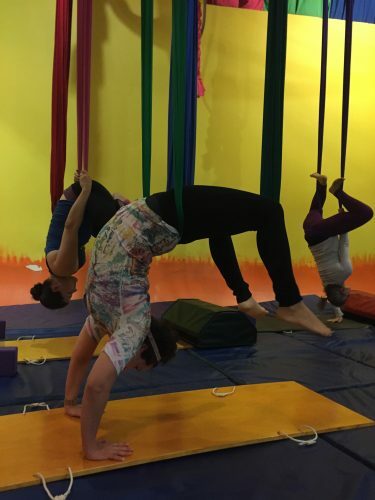 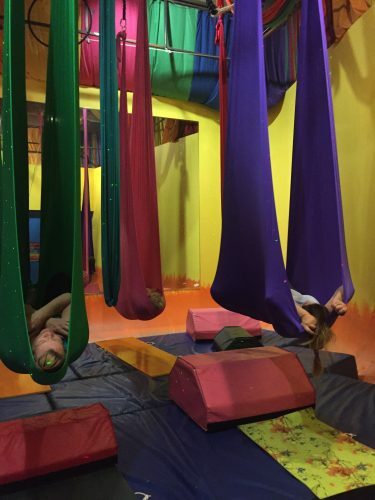 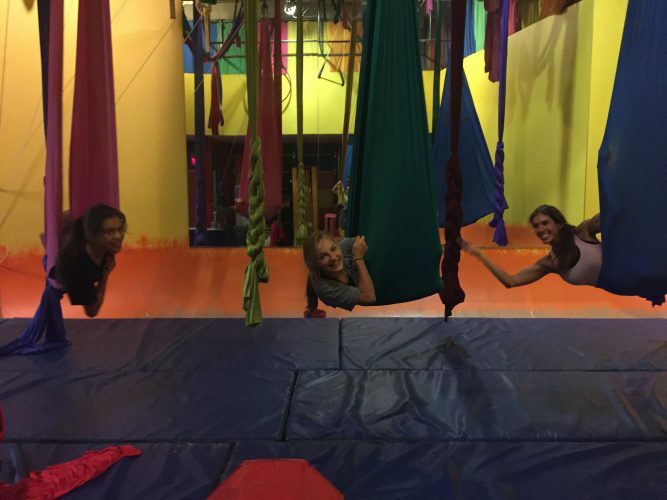 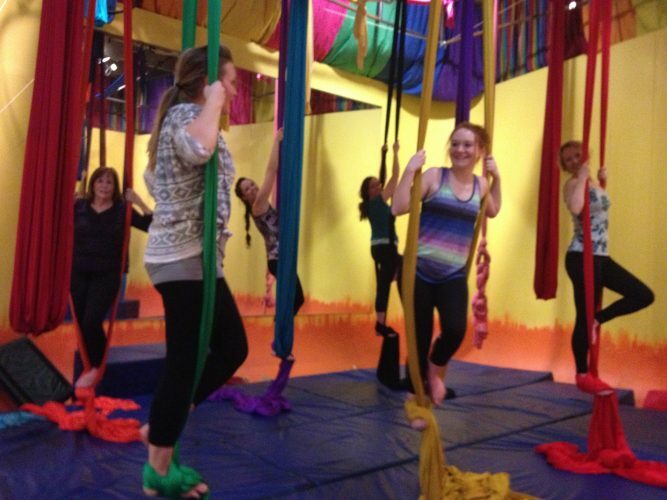 Aerial yoga party with your friends. 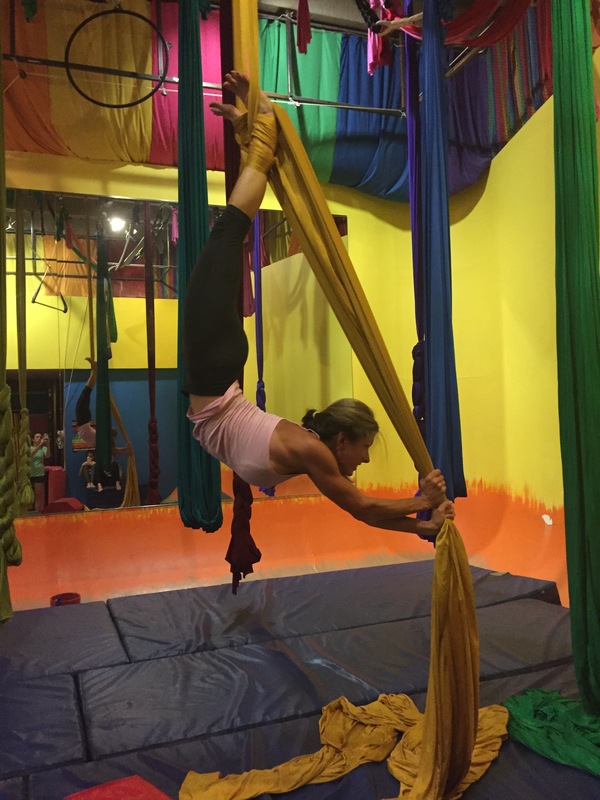 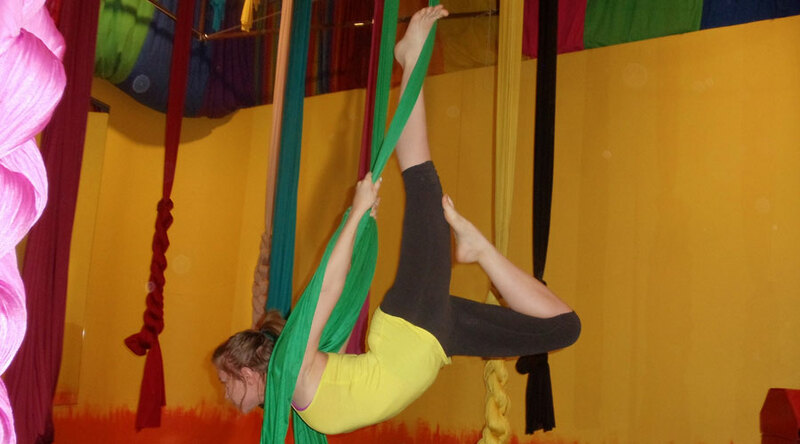 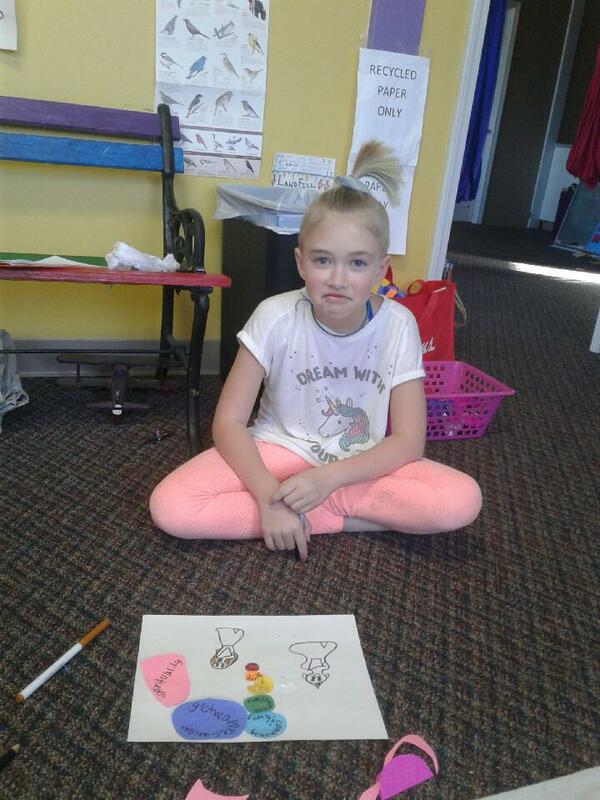 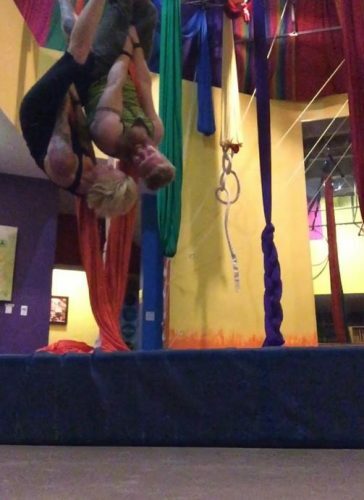 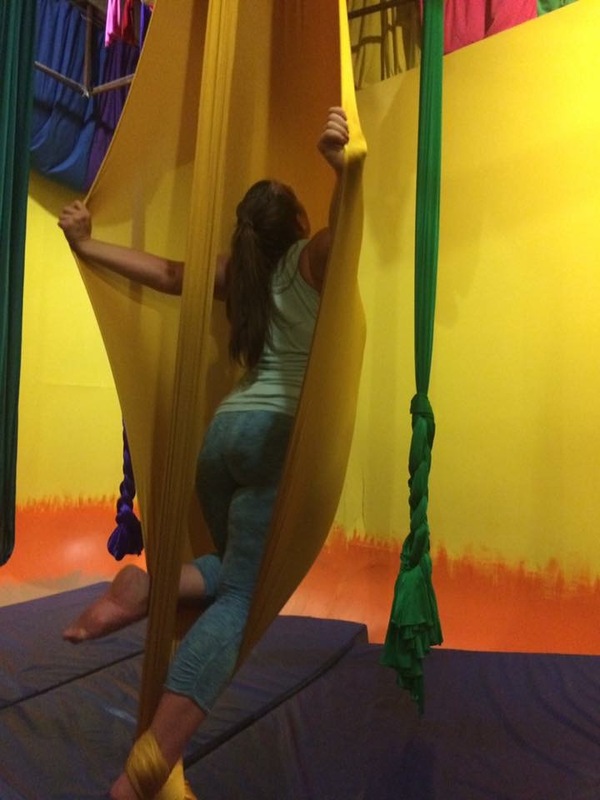 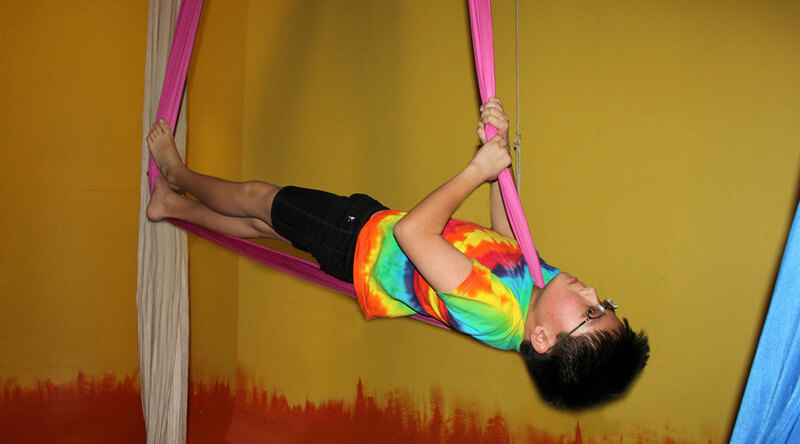 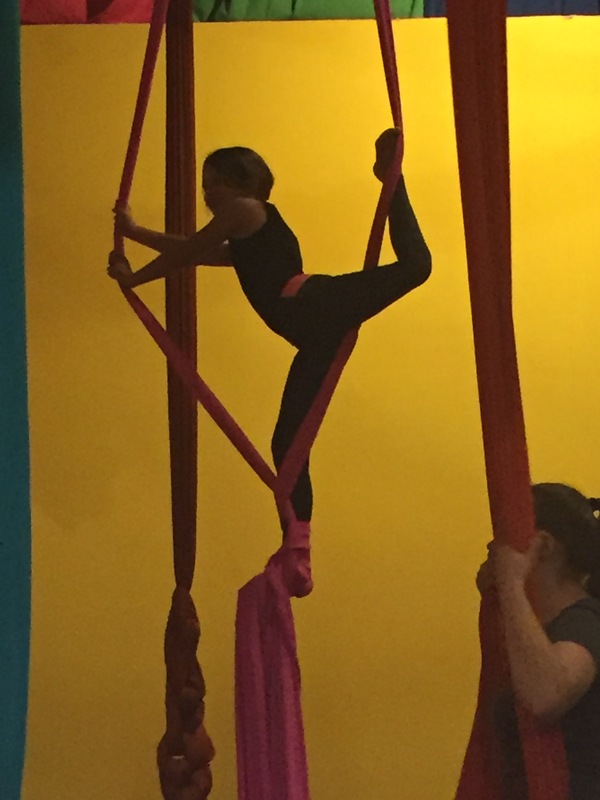 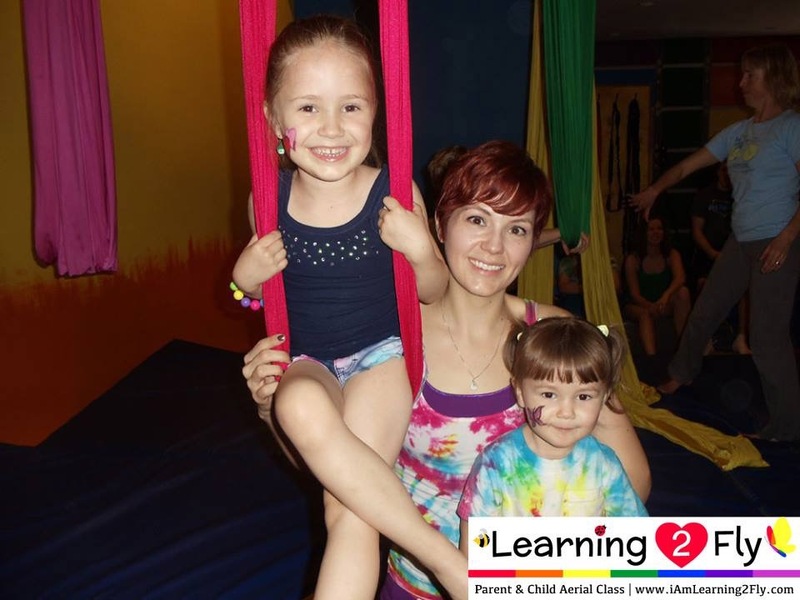 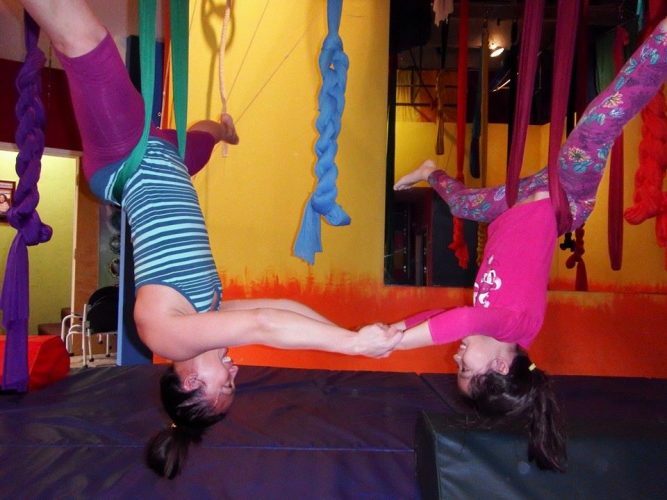 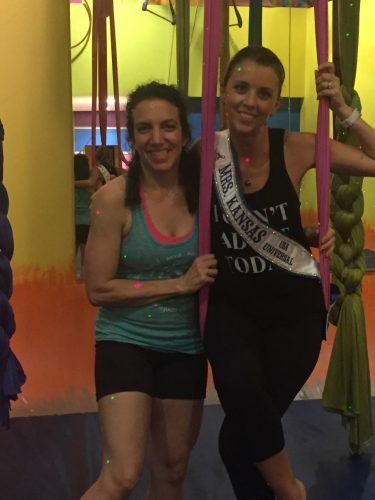 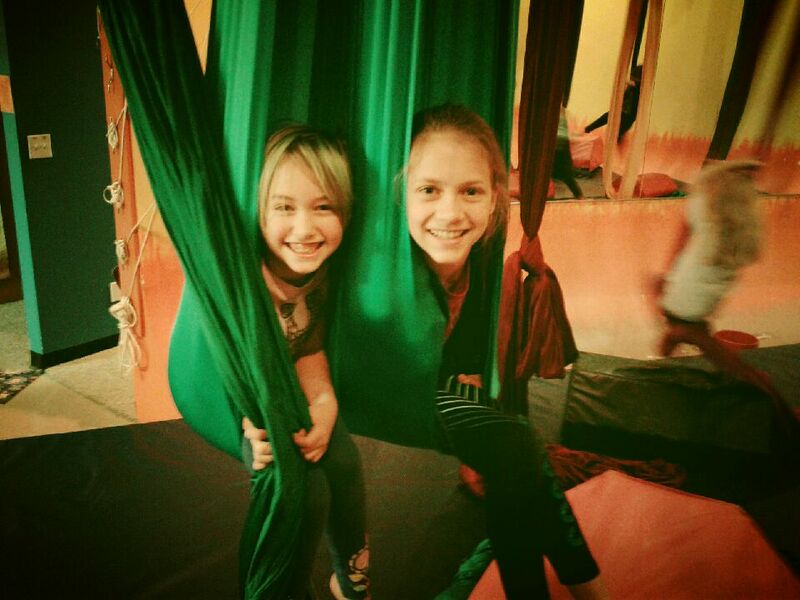 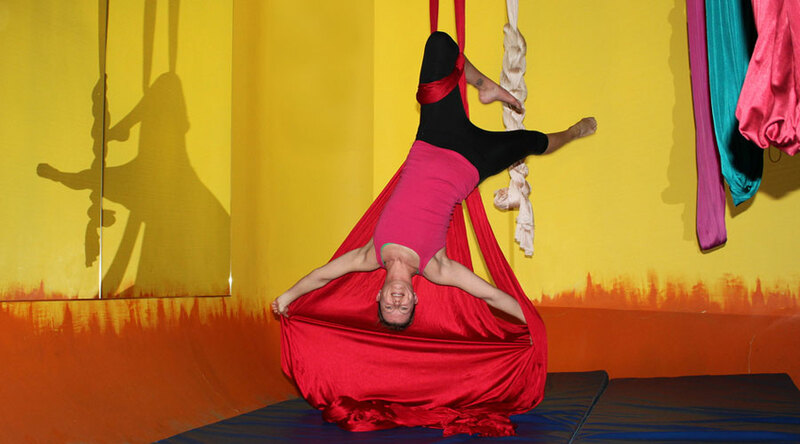 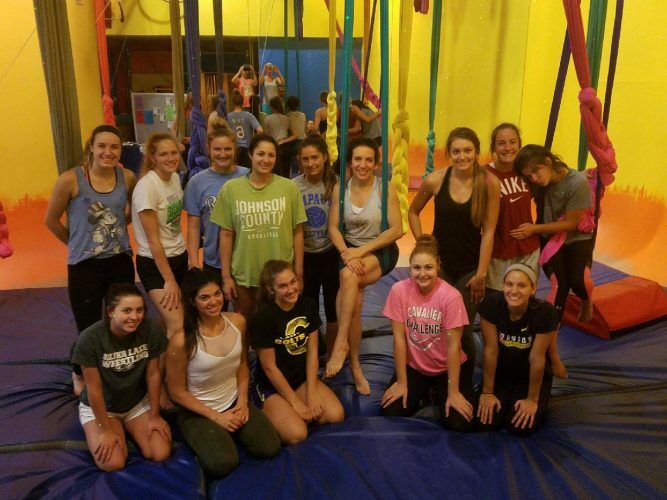 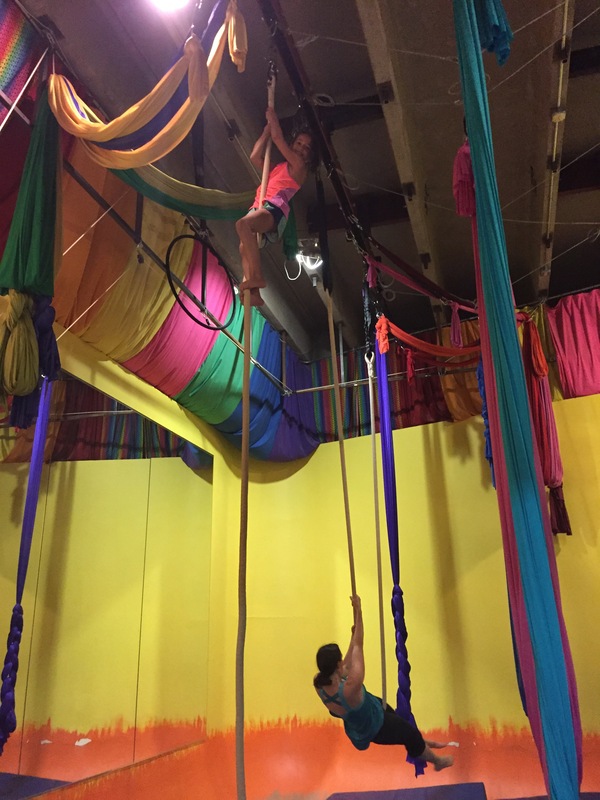 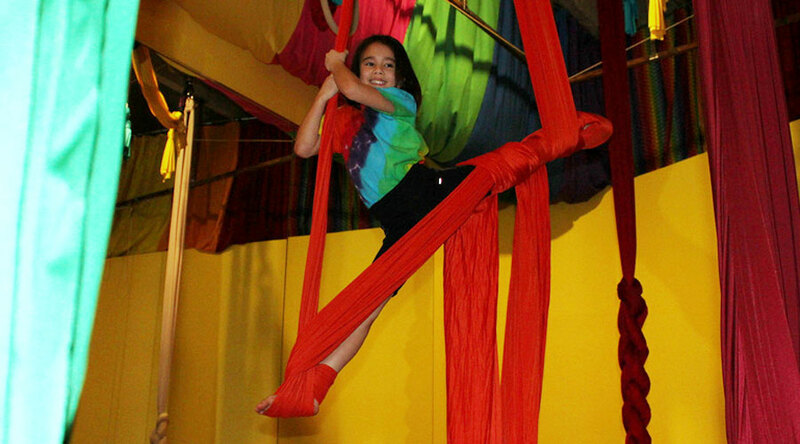 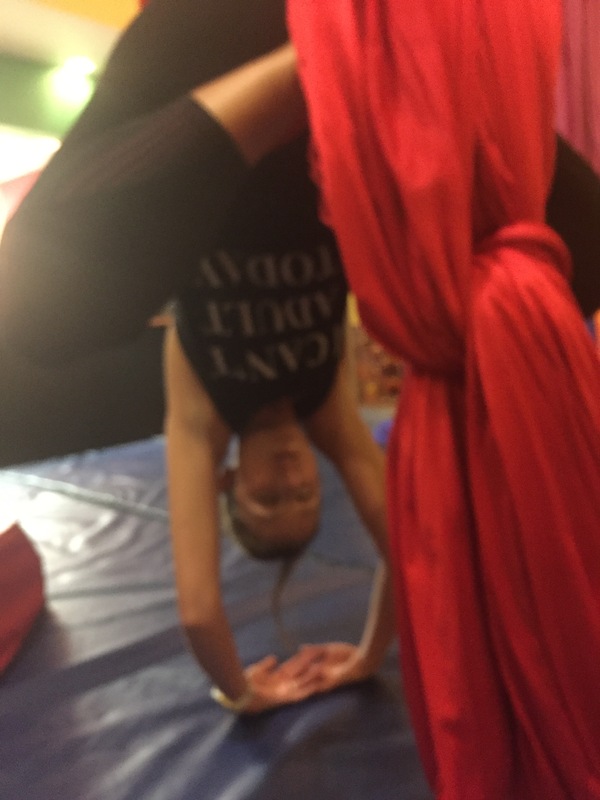 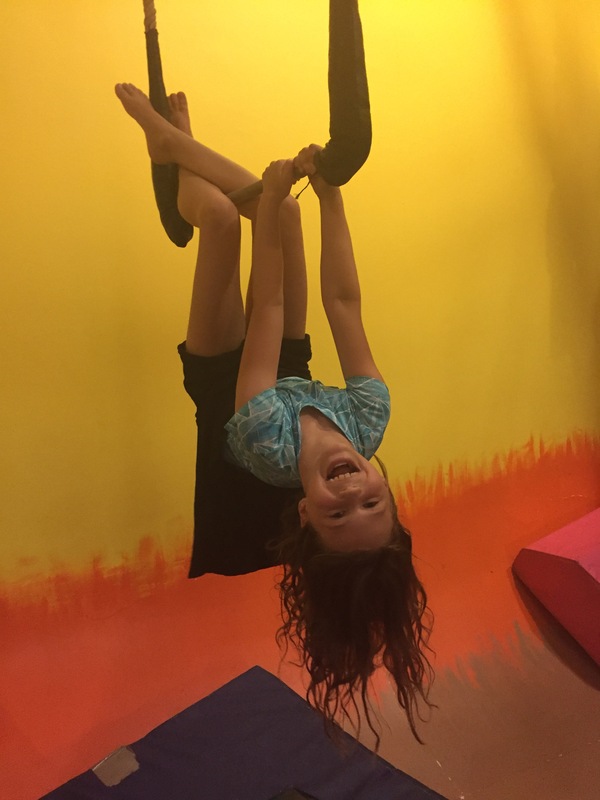 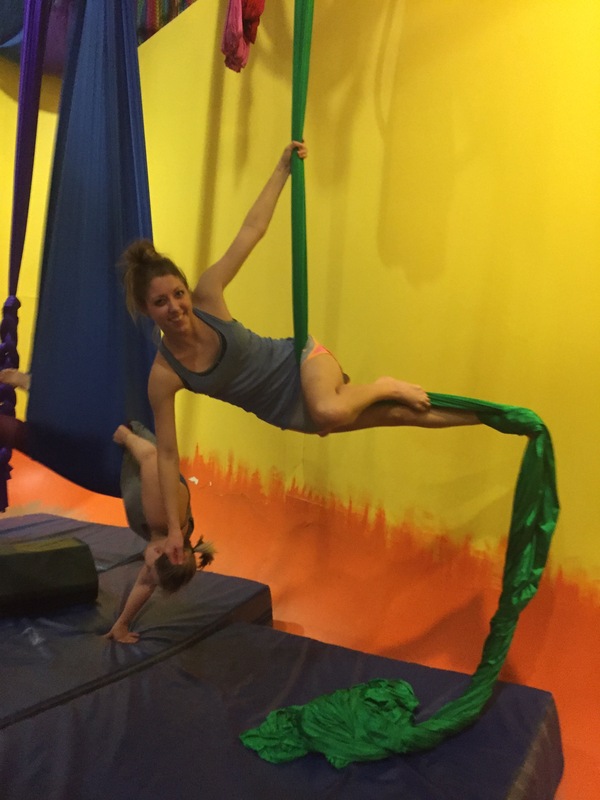 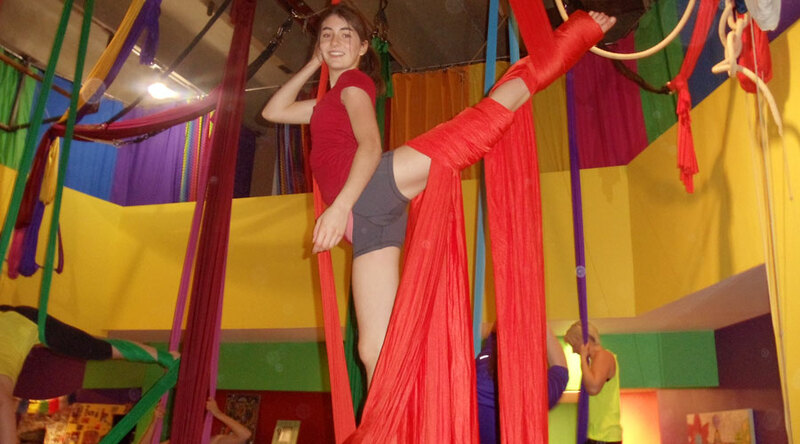 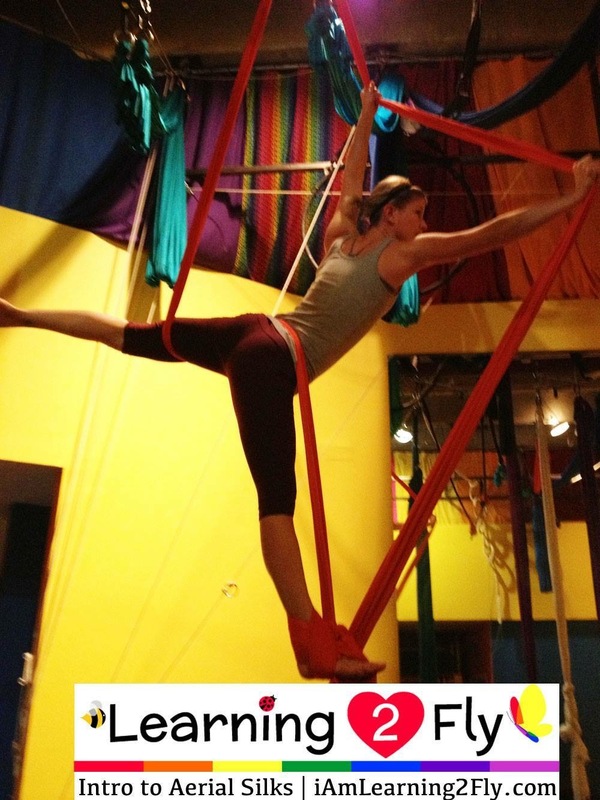 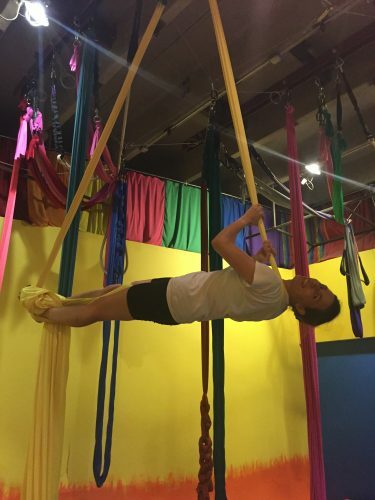 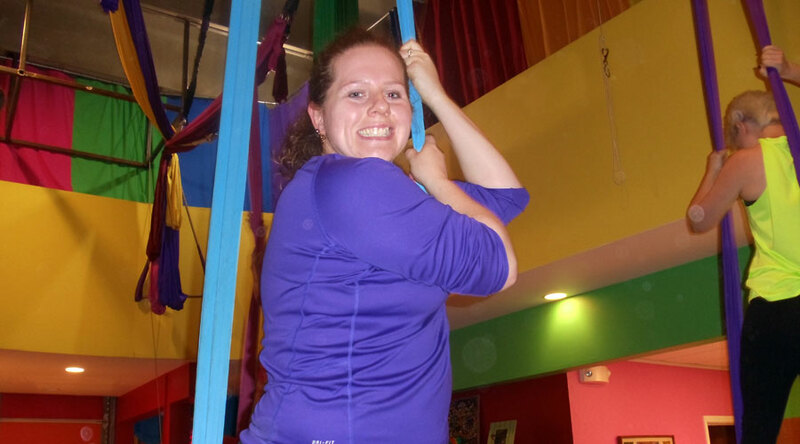 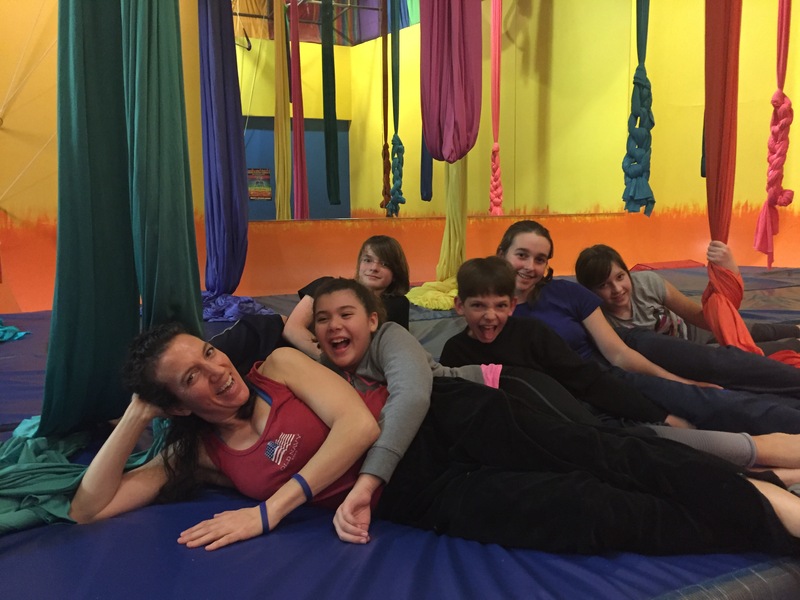 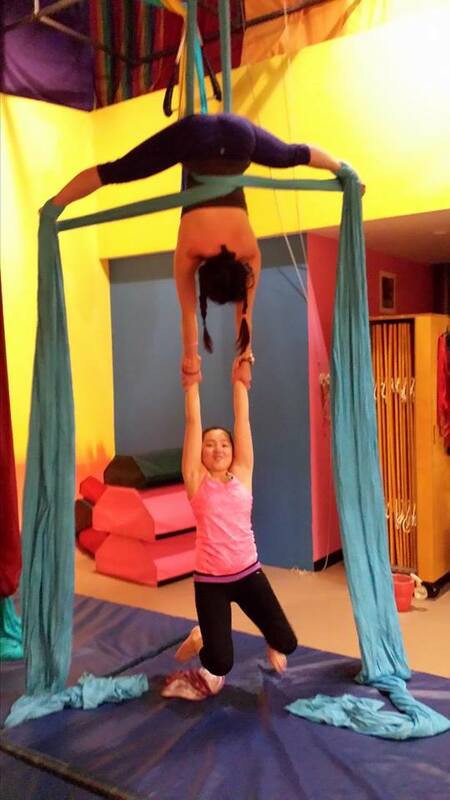 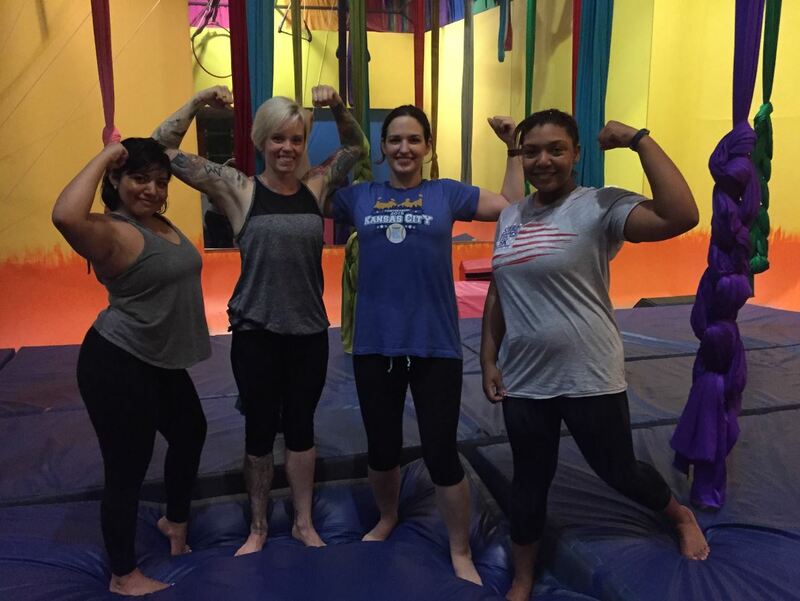 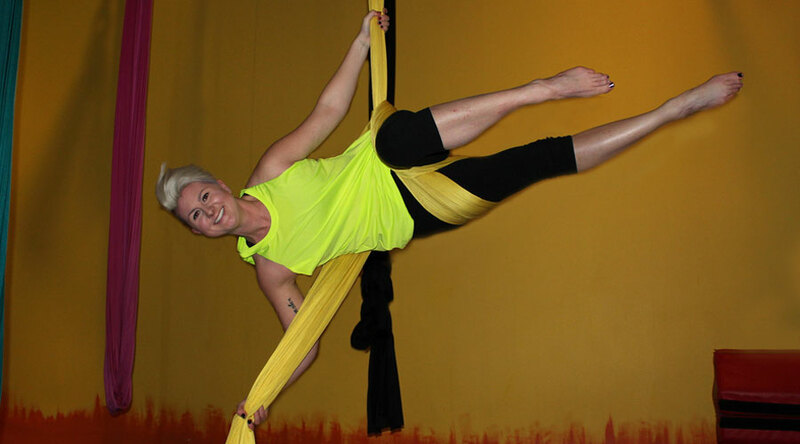 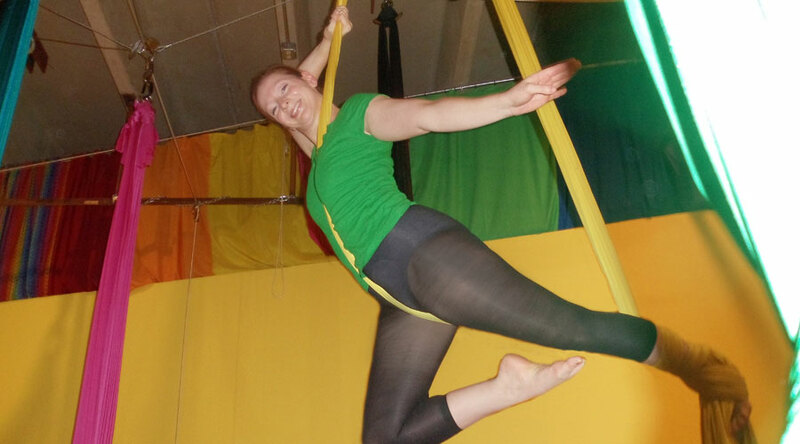 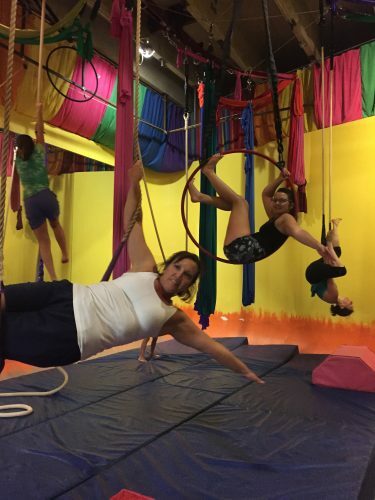 “I like aerial fitness because it gives me a new challenge so I can succeed in every class. 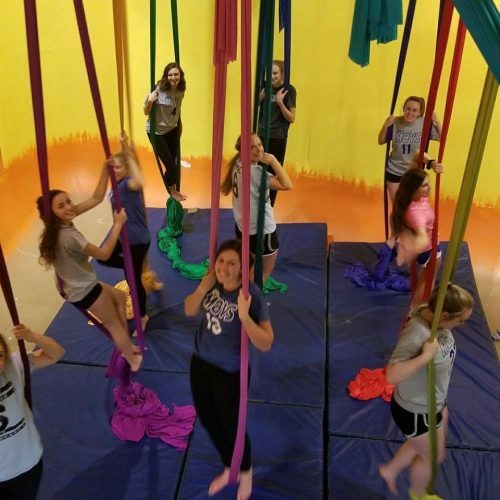 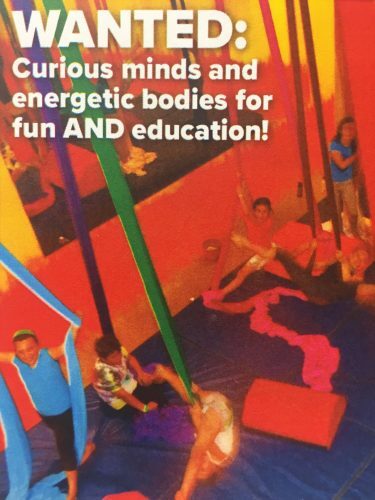 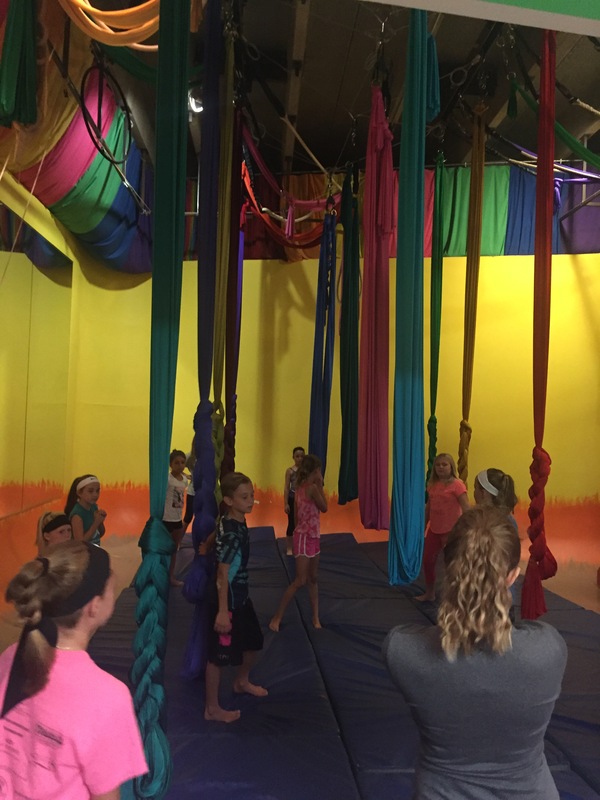 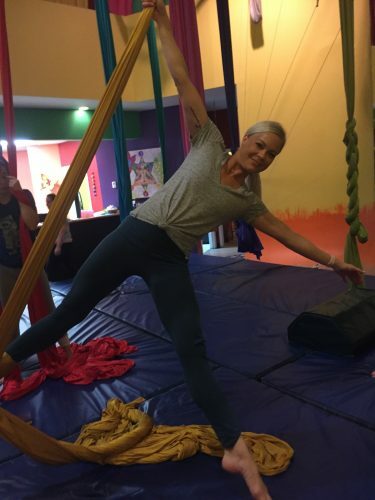 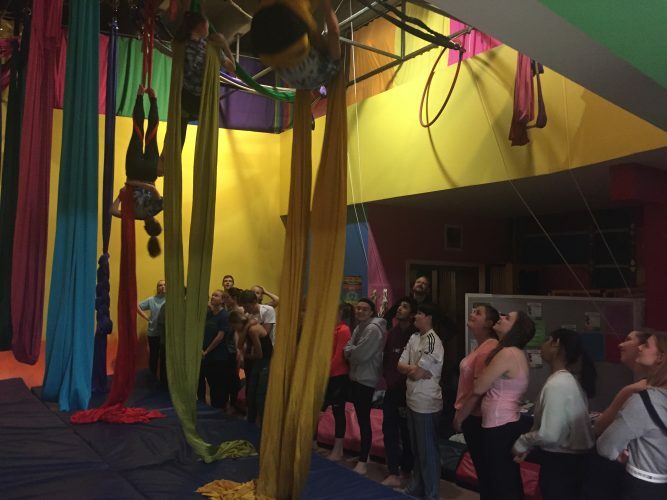 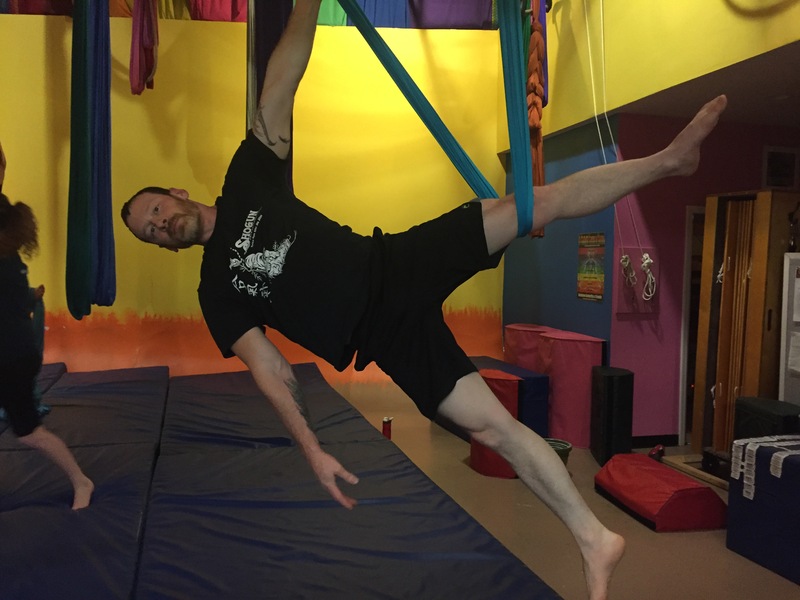 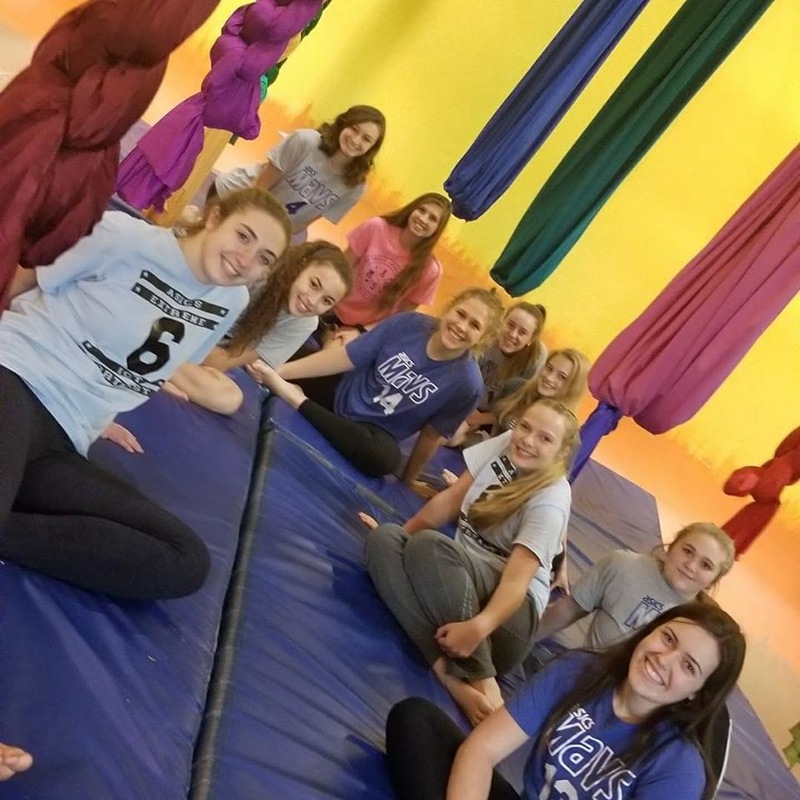 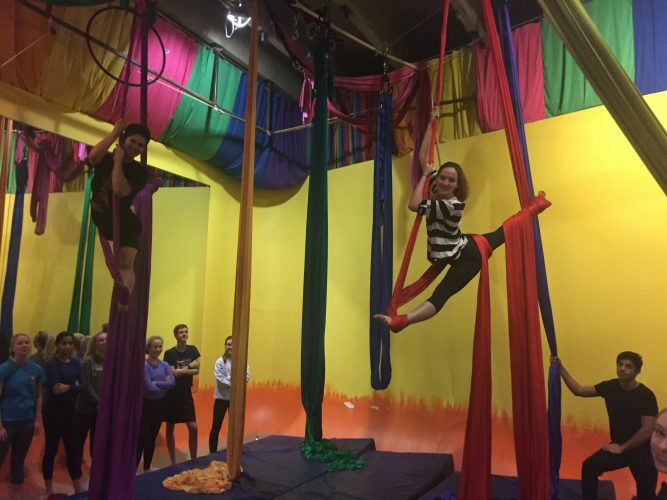 It feels good on my body and soul.” Amanda S.
“Aerial silks provides an awesome workout with constant entertainment and new goals to achieve every class.” Kari S.
“Aerial fitness isn’t just for girls.” Kai A. 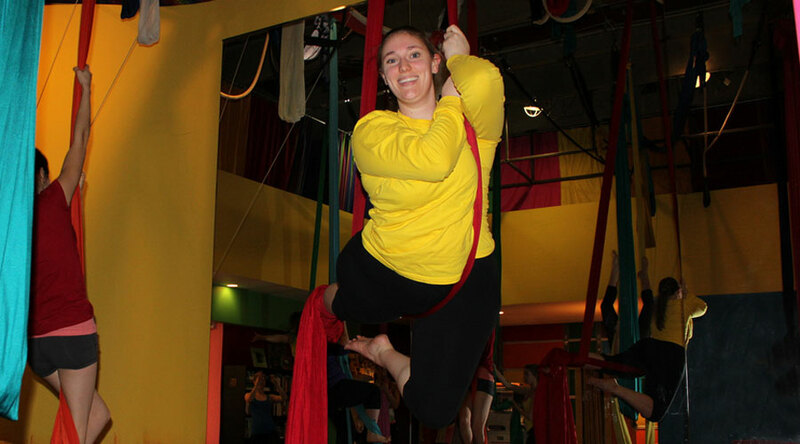 “During my first class, I wasn’t sure if I would be able to advance at all. 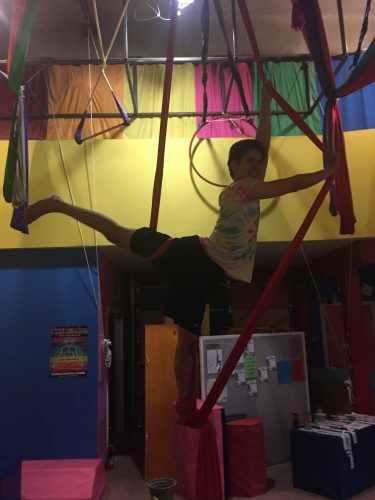 After months of hard work and dedication, I’m stronger than I could have ever imagined on my first day.” Carolina H.
“Aerial fitness builds muscles, self-confidence, and it’s great to see accomplishments in myself and others.” Ellen K.
“Aerial silks is an amazing art form that has increased my flexibility, vastly improved my strength, and combines grace, fluidity, movement, and laughter. 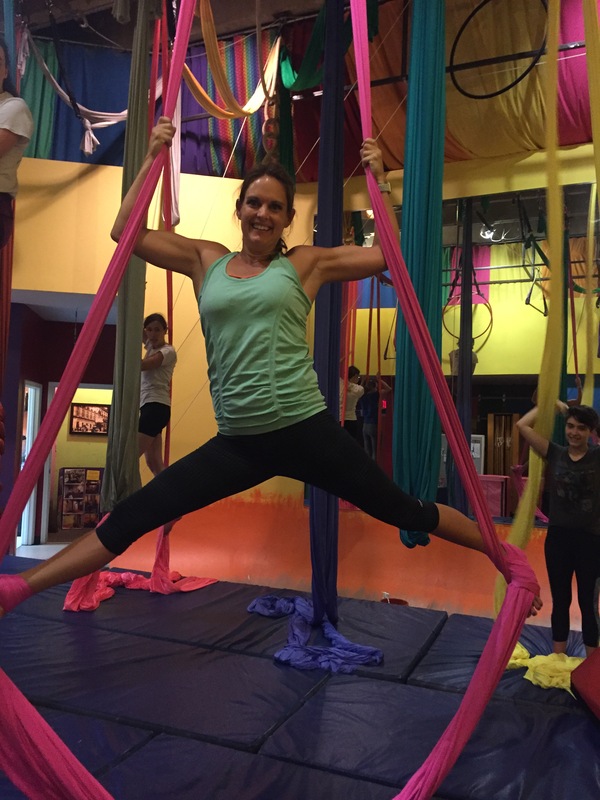 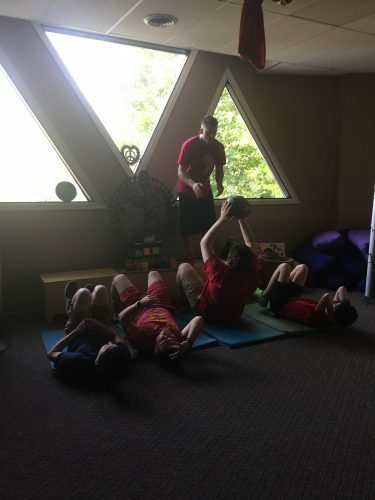 It is the most fun I have ever had ‘working out.’ Karen C.
“Now I feel like a bird soaring through the sky, being able to do anything, and free to let my personality go.” Jade A. 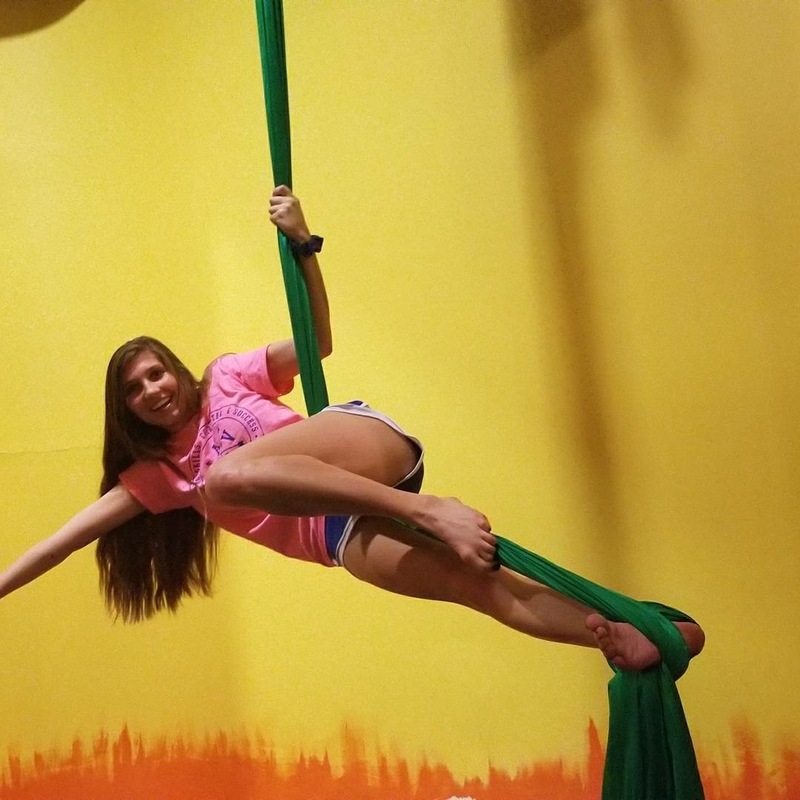 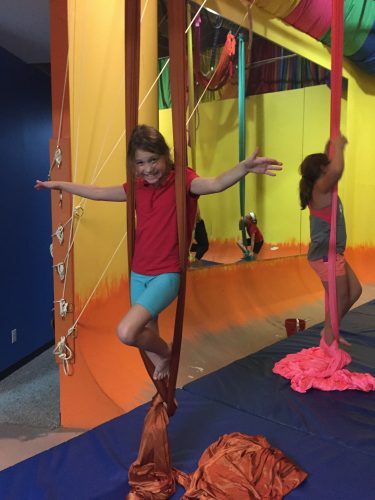 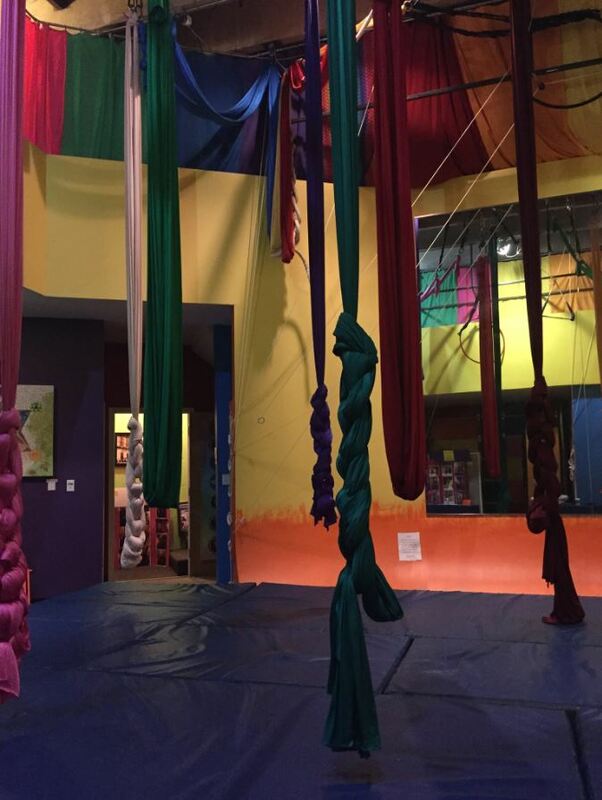 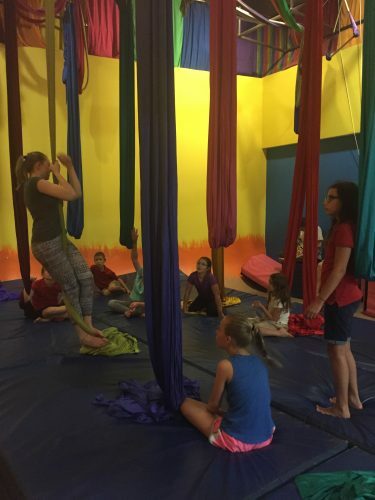 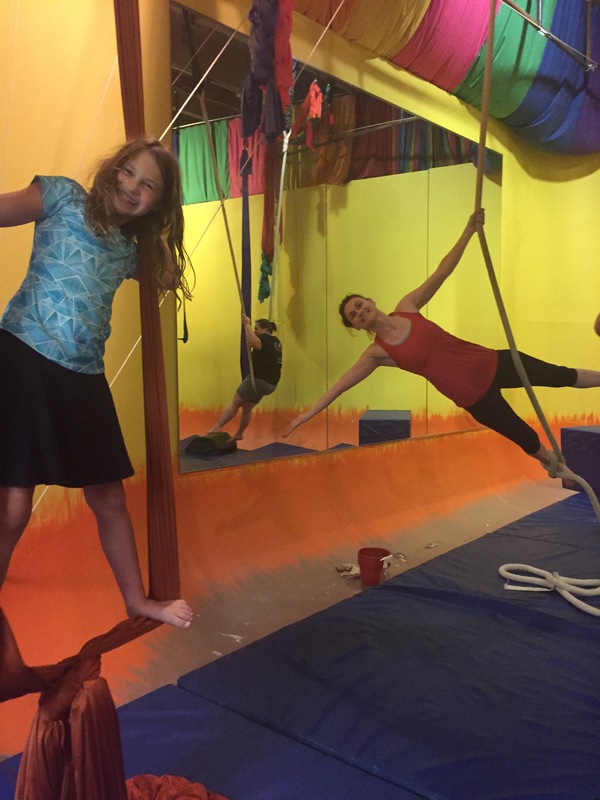 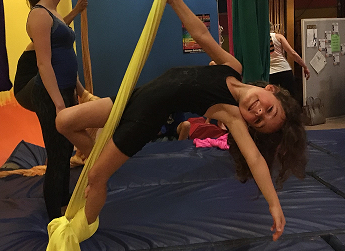 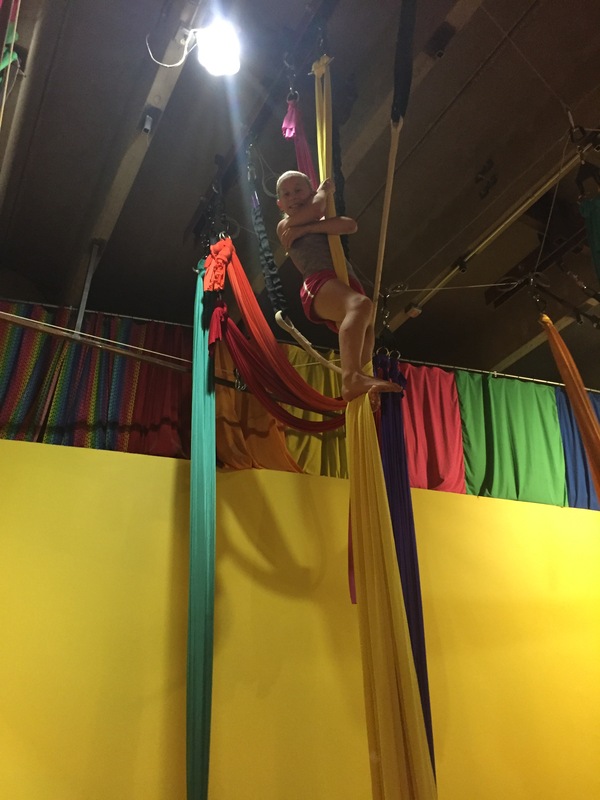 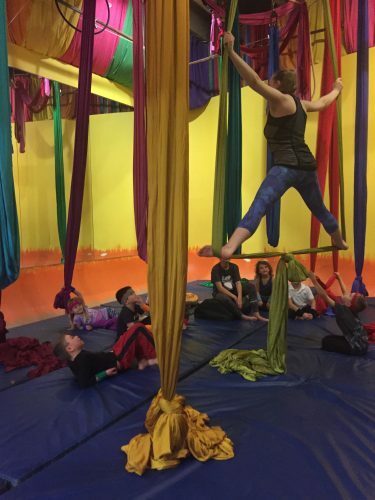 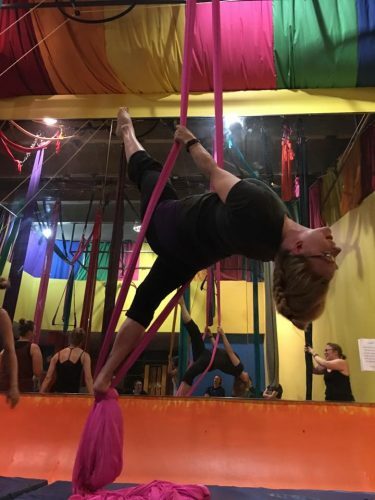 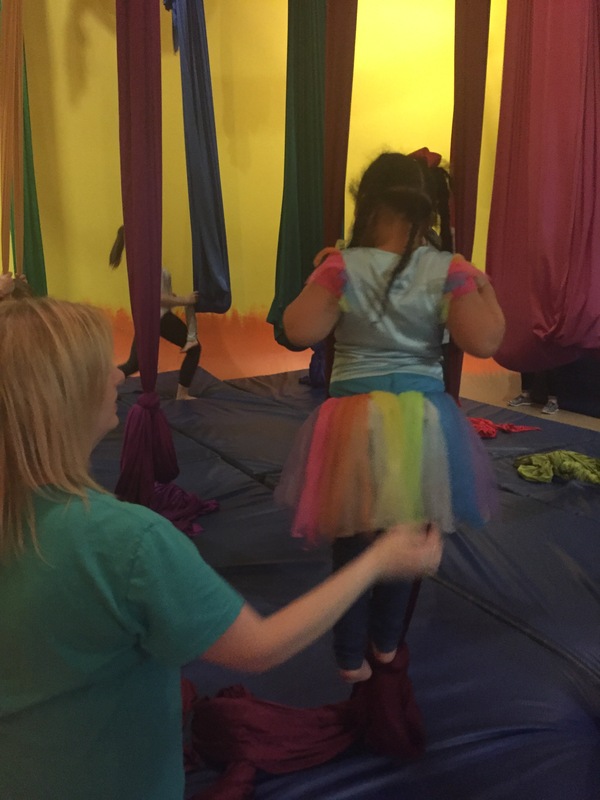 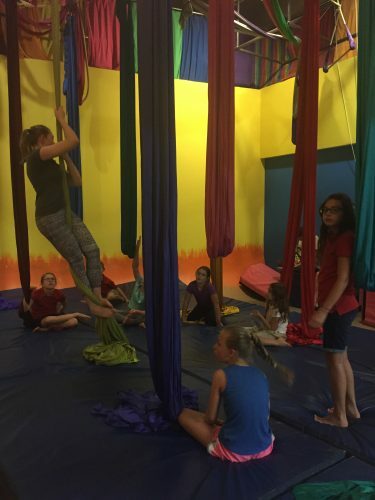 “I love aerial silks because it’s wonderful for gaining upper body strength while still having fun.” Madeline F.
Aerial silks is my time to fly. 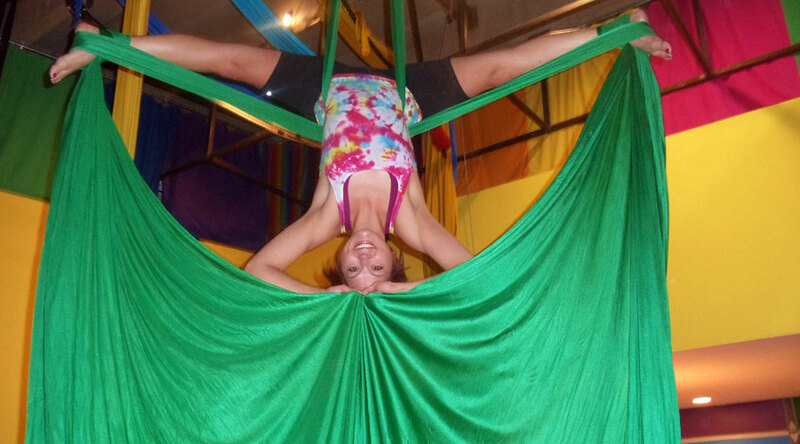 I love feeling light and beautiful.” Bobbi F.
“Aerial silks makes me feel like a badass. 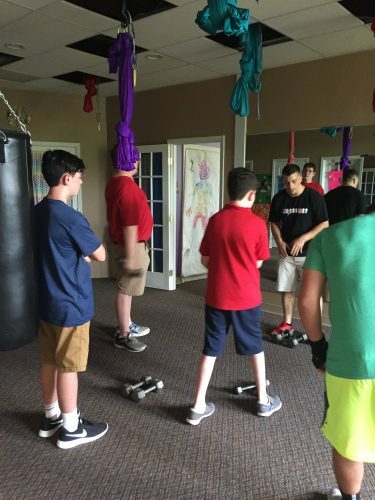 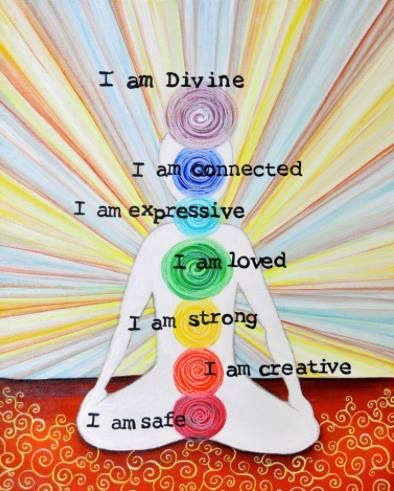 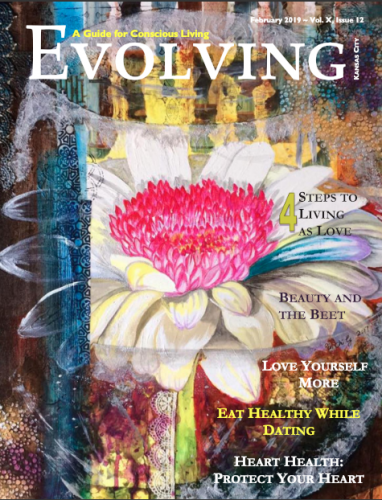 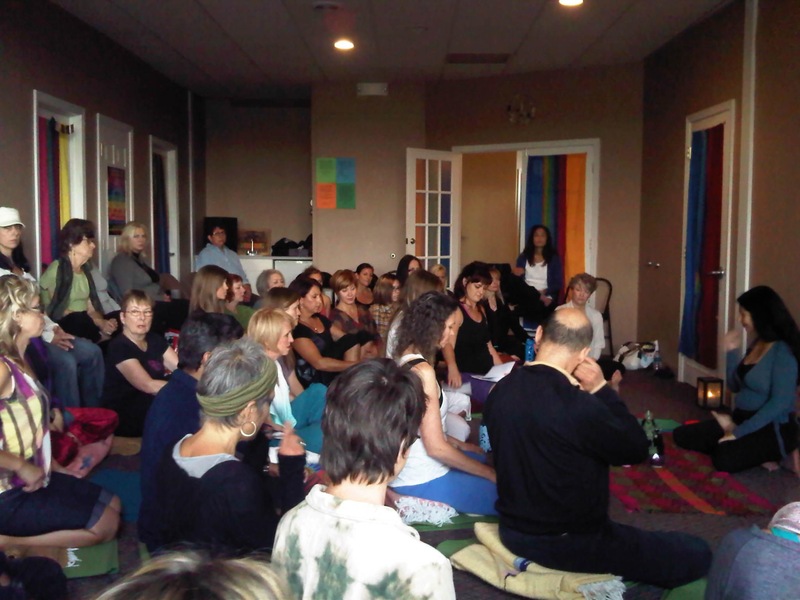 I feel strong which translates into confidence in all areas of my life.” Jamie R.